Bluebonnets lined this quiet county road on a early April morning. Behind me, dark clouds were closing fast. In the distance, I could hear the cows mooing. 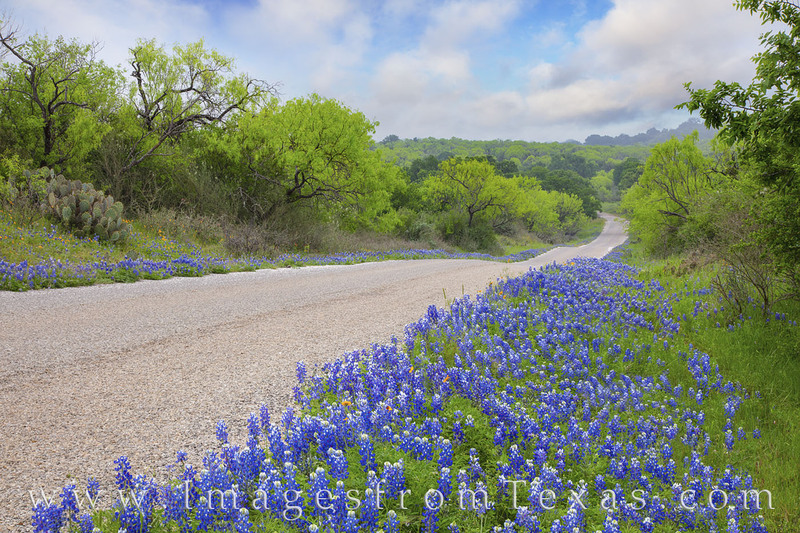 But for a few minutes, this was a beautiful scene - bluebonnets, green trees, a winding road, and soft blue and white skies…. and that makes this, in my opinion, one of the best drives in the Texas Hill Country. Photo © copyright by Rob Greebon.